After a long day of excitement, return to the Oxford Belfry Hotel and relax! When arriving at Oxford Belfry Hotel, stay in a Standard Double Room for 2 nights on a Bed & Breakfast basis. Free car parking is available on-site. 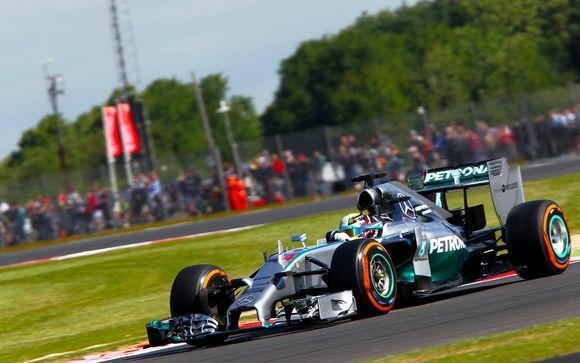 This morning enjoy breakfast at the hotel before transferring to Silverstone Circuit (transfers not included) where private parking has been reserved. Make your way to the Woodcote Complex where full hospitality has been reserved. 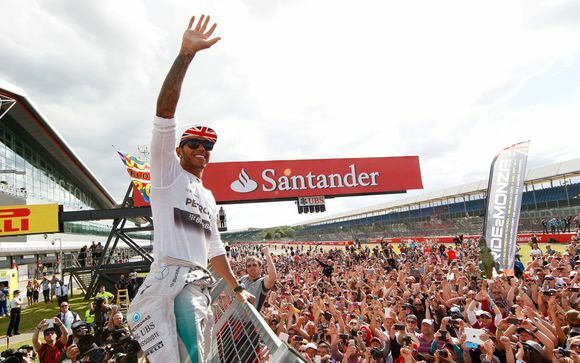 The Woodcote suites are located next to the BRDC clubhouse and offer exceptional views of the cars coming around Woodcote Corner and the entrance to the National pit lane. A large balcony area to the front of our Woodcote suite ensures guests have the best, most comfortable vantage point possible. Should the weather not be favourable, the suite is glass fronted, so will still allow fantastic views of the action from inside. After racing transfer back to the hotel (transfers not included). The evening is at leisure. Enjoy breakfast at the hotel before finishing your stay. You can also choose to add a selection of optional extras to your experience, these can be added at the next stage of the booking process. Woodcote Suite Hospitality on Saturday - experience the luxury of the Woodcote Suite on an additional day. Paddock Club Hospitality (Sat/Sun) - located above the pits, Paddock Club hospitality is the ultimate VIP experience. The Oxford Belfry is situated just off the M40, near to the picturesque university city of Oxford and a 45min drive from Silverstone. Set in 17 acres of beautiful grounds, the hotel boasts spacious rooms, gym, indoor pool and an excellent restaurant. 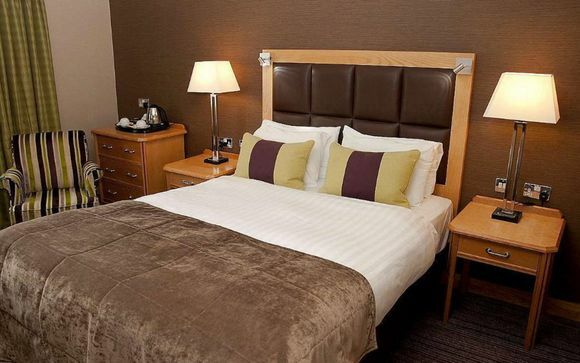 There's nothing standard about any of the standard guest rooms at The Oxford Belfry. They're comfortable, beautifully decorated with modern furnishings and equipped with everything you need to chill out. The Oxford Belfry's Restaurant is a lovely venue intimate dinner. The warm, welcoming atmosphere of the contemporary and stylish restaurant, coupled with excellent service and an extensive menu and wine list makes this a dining experience not to miss. Light lunches and snacks may be enjoyed in the bar. The Lounge Bar is open throughout the day serving tea, coffee, light lunches and evening meals. The bright and spacious area is a fantastic place to meet with friends or colleagues and enjoy some of the delicious bites to eat on the extensive menu. The Oxford Belfry is home to a magnificent health club with a range of facilities to relax and re-energise the body and mind. Take a dip in the indoor pool or sit back in the sauna or steam room and feel the stresses of the day slowly evaporate away. For the fitness fanatics out there, the gym at the hotel offers everything you need to work up a sweat. The state-of-the-art Technogym equipment doesn't do the workout for you, but these clever little machines use a wellness key system to store your settings so that the machines are personalised to your workout. The 280 stops 2 miles from the hotel with regular buses to Aylesbury, Thame and Oxford. For more information click here. The 275 runs only twice a day between High Wycombe and Oxford stopping near the hotel at Milton Common.